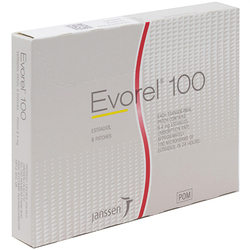 Elleste Solo MX (Estradiol) 40mcg Patches 8 is a Hormone Replacement Therapy (HRT). 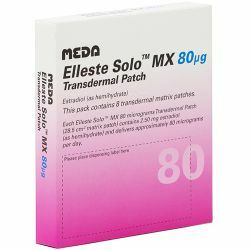 It is a transdermal patch that contains the female hormone Oestrogen-Estradiol. 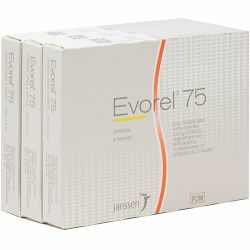 It is used in menopausal women to relieve the symtoms that occur after menopause. The usual dose is ONE patch applied to the lower back or buttocks twice a week. When applying a new patch, place on a fresh area of skin, away from the place you have just used. 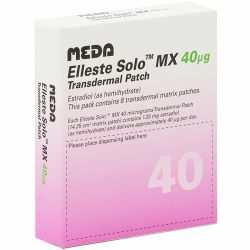 The active ingredient in Elleste Solo MX (Estradiol) 40mcg Patches 8 is Estradiol 1.25mg. The other ingredients are Acrylic Adhesive, Diethyltoluamide, Polyester Laminate and Metalised Polyester.